Crude oil Brent rate is going down amid experts’ expectations of the increase in the US oil inventories. On Thursday the report of the US Energy Information Agency is scheduled for the release. According to predictions oil reserves will increase by 550 thousand barrels up to the highest level since July 2013 of 386 million barrels. It is worth noting that commercial inventories of crude oil in the USA have been growing for the seventh consecutive week. Support levels are 105.80, 105.05 and 104.00. 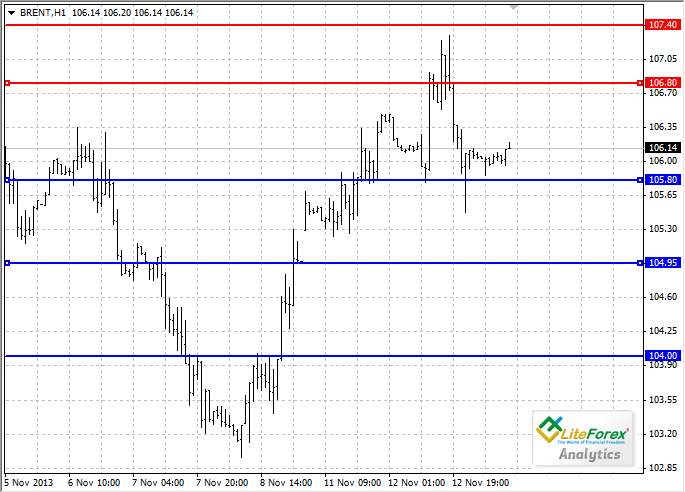 Resistance levels: 106.80, 107.40 and 108.00.